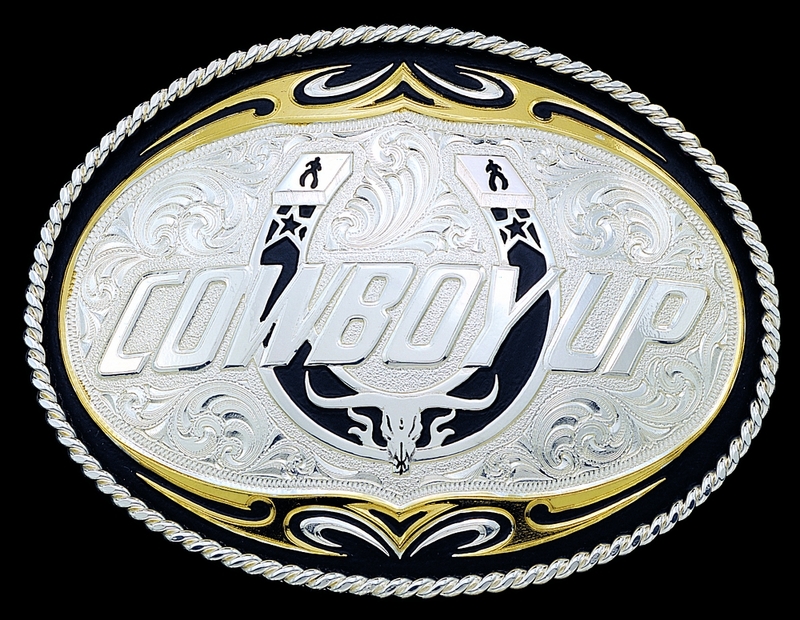 Cowboy Up Buckle - Horseshoe by Montana Silversmiths. Tri-tone (silver, black and gold) 3" x 4" buckle. Classic gold rope outer trim. 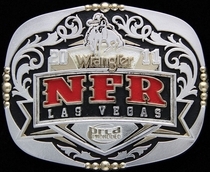 The Cowboy Up Buckle - Horseshoe arrives in a very nice gift box, ready for presentation or gift giving. Gift wrapping is also available (see above). The electroplate finish of Montana Silversmiths belt buckles -- including the Cowboy Up Buckle - Horseshoe -- will not tarnish. 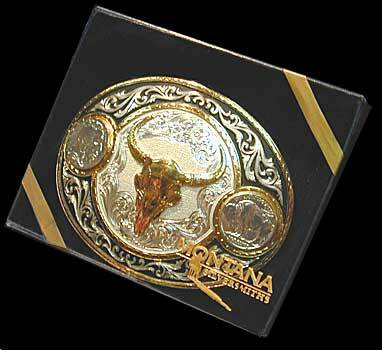 All Montana Silversmiths belt buckles have a lifetime guarantee against defects and workmanship. They are die-struck from hand engraved masters, finished with silver and gold electroplate and state-of-the-art Montana Armor® tarnish protection.